He was all of 6 years old when Amjad Ali Khan gave his first recital of Sarod. It was the beginning of yet another glorious chapter in the history of Indian classical music. Taught by his father Haafiz Ali Khan Amjad Ali Khan was born to the illustrious Bangash lineage rooted in the Senia Bangash School of music. Today he shoulders the sixth generation of inheritance in this legendary lineage. After his debut, the career graph of this musical legend took the speed of light, and on its way the Indian classical music scene was witness to regular and scintillating bursts of Raga supernovas. Thus, the world saw the Sarod being given a new and yet timeless interpretation by Amjad Ali Khan. Khan is one of the few maestros who consider his audience to be the soul of his motivation. As he once said, "There is no essential difference between classical and popular music. Music is music. I want to communicate with the listener who finds Indian classical music remote." He has performed at the WOMAD Festival in Adelaide and New Plymouth, Edinburgh Music Festival, World Beat Festival in Brisbane, Taranaki in New Zealand, Summer Arts Festival in Seattle, BBC Proms, International Poets Festival in Rome, Shiraz Festival, UNESCO, Hong Kong Arts Festival, Adelaide Music Festival, 1200 Years celebration of Frankfurt WOMAD Rivermead Festival, UK, and ‘Schonbrunn’ in Vienna. 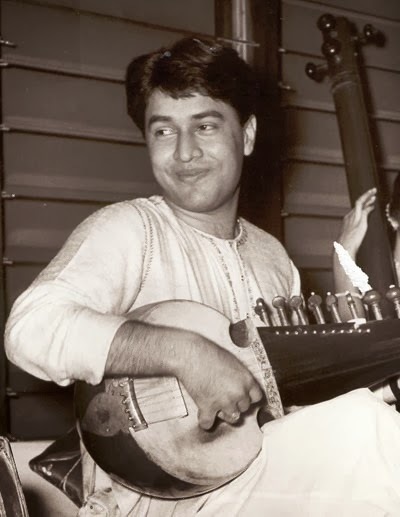 In the matter of awards, Amjad Ali Khan has the privilege of winning the kind of honours and citations at his relatively young age, which, for many other artistes would have taken a lifetime. He is a recipient of the UNESCO Award, Padma Vibhushan (Highest Indian civilian award), Unicef's National Ambassadorship, The Crystal Award by the World Economic Forum and Hon'ry Doctorates from the Universities of York in 1997, England, Delhi University in 1998, Rabindra Bharati University in 2007, Kolkata and the Vishva Bharti (Deshikottam) in Shantiniketan in 2001. He has represented India in the first World Arts Summit in Venice in 1991, received Hon'ry Citizenship to the States of Texas (1997), Massachusetts (1984), Tennessee (1997), the city of Atlanta, Georgia (2002), Albuquerque, NM (2007)and theKey of the City of Tulsa, Oklahoma and Fort Lauderdale, Miami. April 20th, 1984 was cleared as Amjad Ali Khan Day in Boston, Massachusetts. In 1995, Mr. Khan awarded the Gandhi UNESCO Medal in Paris for his compositionBapukauns. In 2003,the maestro received “Commander of the Order of Arts and letters” by the French Government and the Fukuoka Cultural grand prize in Japan in 2004. His collaborations include a piece composed for the Hong Kong Philharmonic Orchestra conducted by Yoshikazu Fukumora titled Tribute to Hong Kong, duets with gutarist Charley Byrd, Violinist Igor Frolov, Suprano Glenda Simpson, Guitarist Alvaro Pierri, Guitarist Barry Mason, Cellist Claudio Bohorquez and UK Cellist Matthew Barley. He has been a visiting professor at the Universities of Yorkshire, Washington, Stony Brook, North Eastern and New Mexico. BBC Magazine had voted one of his recent CDs titled ‘Bhairav’ among the best 50 classical albums of the world for the year 1995. In 1994, his name was included biographically in "International Directory of distinguished Leadership", 5th edition. In 1999, Mr. Khan inaugurated the World Festival of Sacred Music with His Holiness the Dalai Lama. In 1998, Khan composed the signature tune for the 48th International Film Festival. In 2009, Mr. Khan presented his Sarod concerto Samagam with the Taipei Chinese Orchestra. The same year Amjad Ali Khan was nominated for a Grammy award in the best traditional world music album category. Khan has been nominated for the album 'Ancient Sounds', a joint-venture with Iraqi oud soloist Rahim Alhaj. Recently, the Khans collaborated with American Folk artist Carrie Newcomer at Lotus Arts Festival in Bloomington. On the ninth anniversary of 9/11, Amjad Ali Khan gave a Peace Concert at the United Nations in New York in the presence of the UN Secretary General Ban-Ki-Moon. He has been a regular performer at the Carnegie Hall, Royal Albert Hall, Royal Festival Hall, Kennedy Center, Santury Hall (First Indian performer), House of Commons, Theater Dela ville, Musee Guimet, ESPLANADE in Singapore, Victoria Hall in Geneva, Chicago Symphony Center, Palais beaux-arts, Mozart Hall in Frankfurt, St. James Palace and the Opera House in Australia. In his case, the term 'beauty of the Ragas' acquires a special meaning as he has to his credit the distinction of having created many new Ragas.It is love for music and his belief in his music that has enabled him to interpret traditional notions of music for a new refreshing way, reiterating the challenge of innovation and yet respecting the timelessness of tradition. Two books have been written on him. The first is titled, ‘The world of Amjad Ali Khan’ by UBS Publishers in 1995 and the second, ‘Abba-God’s Greatest Gift to us’ by his sons, Amaan and Ayaan published by Roli Books-Lustre Publications in 2002. A documentary on Mr. Khan called ‘Strings for Freedom’ won the Bengal Film Journalist Association Award and was also screened at the Ankara Film Festival in 1996. In 2007, Mr. Khan featured in the Southbank Centre’s recently launched the Royal Festival Hall hoardings project ‘Rankin’s Front Row’, where his photograph is included in the frieze that will run the length of the river façade of the Royal Festival Hall. Khan performed at the Central Hall of the Indian Parliament on the commemoration of India's 60th year of Independence in 2007. His concerto for Sarod and orchestra, Samaagam, the result of an extraordinary collaboration with the Scottish Chamber Orchestra, is the latest embodiment of his unique ability to give new form to the purity and discipline of the Indian classical music tradition. Samaagam was released worldwide in April 2011 on Harmonia Mundi’s World Village label. In the season 11/12, Amjad Ali Khan was the focus of a 4-concert residency at the Wigmore Hall in London including a new piece with the Britten Sinfonia. Other highlights include recitals at the Edinburgh International Festival, the Enescu Festival in Bucharest. Recently, he was awarded the Fellowship of the Sangeet Natak Academy. 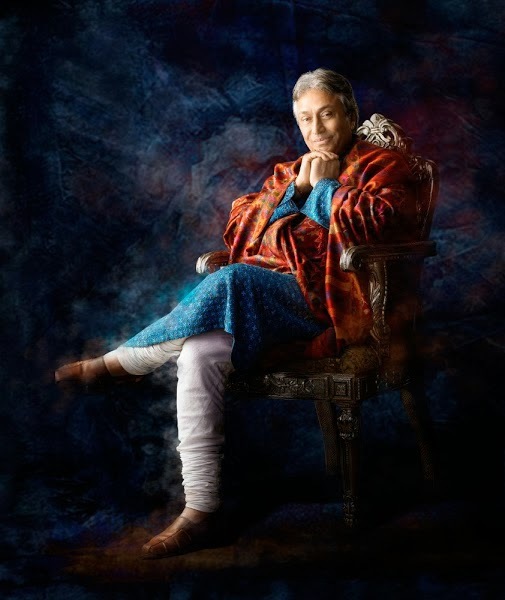 In spring this year Sarod maestro Amjad Ali Khan brought his teaching philosophy to Stanford University this year in a residency titled Indian Classical Music: A Way of Life. As a finale to the Maestro residency, Amjad Ali Khan performed with Maestro Jindong Cai and the Stanford Philharmonia at the Mozart and More Festival. Married and with two sons, Amaan Ali Khan and Ayaan Ali Khan Ayaan Ali Khanare well known names in the music scene and are the seventh generation of musicians in the family. ‘Coming Masters’ as the New York Times calls them. Amjad Ali Khan's wife Subhalakshmi Khan has been a great exponent of the Indian classical dance, Bharatnatyam, which, she sacrificed for her family. As a soul, so in his heart, he is a man who has proven his indomitable belief in the integration of two of life's greatest forces, love and music. He is a living example of a man who practices that integration each day of his life, both on stage and off stage. 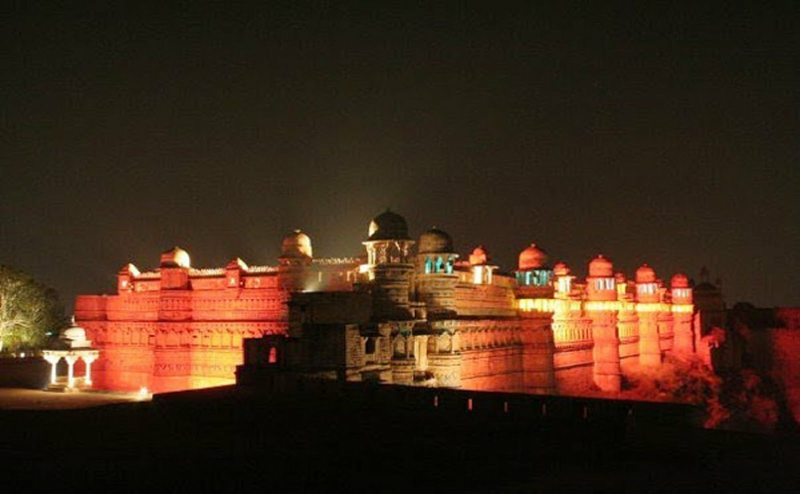 The city of Gwalior displays a magnificent history and glorious past in its records. We, at Gwalior Plus are just making an effort to maintain that Glory with the help of our readers and friends.